More little-known facts about the greatest basketball movie ever made from The Chucker, High Volume Shooters’ resident archivist. Jack Nicholson wanted to play Coach Norman Dale, but couldn’t. According to “Hoosiers” writer Angelo Pizzo, Nicholson read the “Hoosiers” script and said, “I’ve got to play that coach.” As a lawsuit with MGM prevent Nicholson from working on the film, however, Pizzo began his search for a new leading man with Nicholson’s blessing. The film could’ve featured Robert Duvall, Harry Dean Stanton, and … John Mellencamp? Duvall passed on the offer to play Coach Norman Dale, while Stanton – or rather Stanton’s agent – refused the role of Shooter. Mellencamp, meanwhile, was asked to write the film’s score, but declined. Pizzo and director David Anspaugh favored, as much as possible, basketball players over actors. Pizzo intentionally wrote the script with basketball players in mind, not actors, and wrote parts that didn’t require heavy thespian chops. The Hickory team included only one bona fide actor. 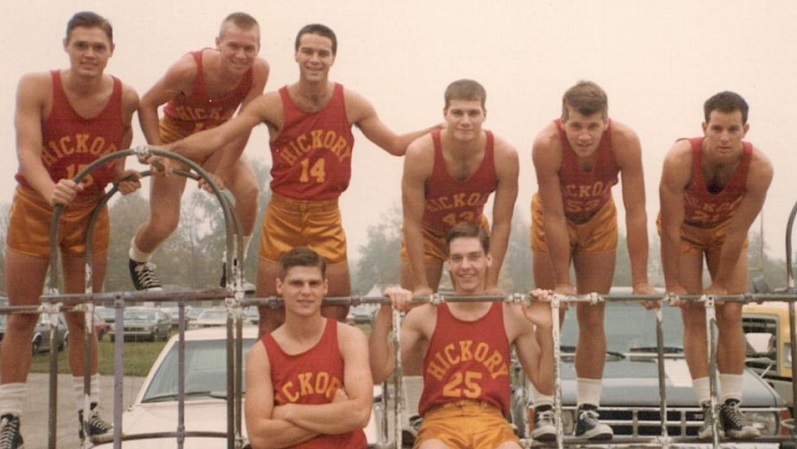 The Hickory team included one active college player. 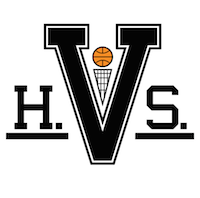 During the filming of “Hoosiers,” Steve Hollar, the Huskers “Rade Butcher,” played basketball for Division III DePauw University in Greencastle, Indiana, the alma mater of Boston Celtics coach Brad Stevens. Though the NCAA initially cleared Hollar to play for DePauw following filming, he was later suspended and required to pay back part of the money he’d made from the movie in order to restore his college eligibility. “Jimmy Chitwood” was discovered at a local church league. While searching to fill the Huskers squad, the “Hoosiers” casting director got a tip that a local church league featured some good players. That’s where Maris Valainis, who played star sharpshooter Jimmy Chitwood, was discovered. Valainis says the casting director visited St. Luke’s to watch some games and later approached him asking, “Do you want to be in a movie?” Pizzo said Valainis had everything he wanted in the Chitwood character – the face, the innocence, and the jump shot. Valainis could really shoot – and didn’t miss that final jumper for dramatic effect. In one memorable scene, Hackman’s character approaches Jimmy Chitwood on a dirt court to discuss playing – or not playing – on the Hickory team. In the scene, actor Maris Valainis drowns jumper after jumper before missing one as Hackman walks away. That wasn’t scripted and purely coincidental, according to both Anspaugh and Valainis. In real life, the best player of the group was … Ollie? According to Pizzo, Indiana schoolboy Wade Schenck, who played vertically challenged manager Ollie, was the best hooper in the cast. Schenck, in fact, says he struggled to make his shot “look bad” after years of trying to do “everything right” to hone his shooting. That led Schenck to adopt the underhanded free throw while portraying Ollie. Buddy magically reappeared on the Hickory team because of deleted scenes.